While I cherish all of my clients, the two most interesting cases I’ve handled involved obtaining the payment of insurance benefits. 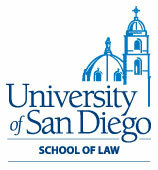 I represented a San Diego Chargers player who purchased a $1.5 million disability policy from Lloyd’s of London. When he became disabled, Lloyd’s said he never had a policy. After 2 1/2 years of litigation, I was able to obtain a global seven-figure settlement for him from five different parties. I also assisted the van Dam family, pro bono, in obtaining a pre-litigation policy limits settlement for the wrongful death of their daughter, Danielle, from David Westerfield. It’s been my honor and privilege to represent people who’ve been harmed by others. Most of my practice involves insurance bad faith and mold personal injury, but I’ve also been involved in a 26-plaintiff real estate fraud case, and I have handled a shareholders derivative suit. Being an attorney is who I was meant to be and wake up feeling lucky I get to do what I do every day for my clients. I’m a member of the San Diego County Bar Association, San Diego Inns of Court and I’m currently the executive committee of the Consumer Attorneys of San Diego. 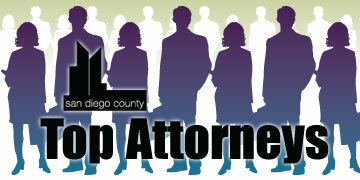 I’ll be the president of Consumer Attorneys of San Diego in 2013 -- only the seventh woman to attain that goal in the history of the organization. I’m the secretary of the Board of Trustees of the Tariq Khamisa Foundation. TKF is dedicated to breaking the cycle of youth violence by empowering kids, saving lives and teaching peace. Through its school-based nonviolence programs, TKF works with elementary, middle and high school students, teaching them about the realities of gangs, violence, revenge and the importance of making the right choices in their lives. TKF was founded by Azim Khamisa to “stop kids from killing kids” after the 1995 shooting death of his 20-year-old son, Tariq, by a 14-year-old gang member. I started out as a legal secretary on in 1976. I saw how things are handled in a law office from a perspective most attorneys never get. In 1979, I landed the job that changed my life working for Dan White at Rhoades & Hollywood, an insurance defense firm, now known as Neil, Dymott, Frank, McFall & Trexler. I treasured that job, being White’s “right-hand person,” but he knew it was not my destiny, and he encouraged me to go to law school. I ended up winning the Legal Secretary Scholarship offered at my law school, and started on this journey toward where I am today.